The career path for new dentists is a wide one. Some newly minted dentists join an existing dental practice. Others choose employment with a hospital or corporate dental chain. Still, others opt to practice in a federal agency or public health setting. Yet, at some point, the majority of dentists find themselves engaged in some form of private practice – either by themselves or in partnership with other dentists – according to the American Dental Education Association (ADEA). In fact, one of the main reasons cited by dentists and dental students for pursuing a career in dentistry is the potential to be their own boss. According to the ADEA, most dental school grads begin their careers in salaried or associate positions in private practices – and then move to practice ownership within several years. Here, they traditionally follow one of two paths: They build a dental practice from scratch, or they acquire an existing practice. As the logistics of starting up a new practice are complex and varied, we’re going to focus on acquiring an existing practice. Yearly production. What level of production are you capable of and comfortable with? According to the Dental Economics/Levin Group 7th Annual Practice Research Report,’ average gross production for the doctors surveyed was $649,839 ($162,113 for a full-time hygienist). That equates to an average daily production per doctor of $3,486 and $1,000 per hygienist. Workweek. How many hours a week are you willing to work? The majority of dentists surveyed in the Practice Research Report worked 4 to 4.5 days a week, and only 15.8 percent of doctors reported working five days or more per week. How much time off for conferences, CDE and vacations do you desire? Desired income. How much will you need to make to support your lifestyle and financial obligations? Dentist owners surveyed by Dental Economics reported annual compensation of $239,000 for full-time practices and $115,000 for part-time work. How many patients will the practice need to support your production and income goals? 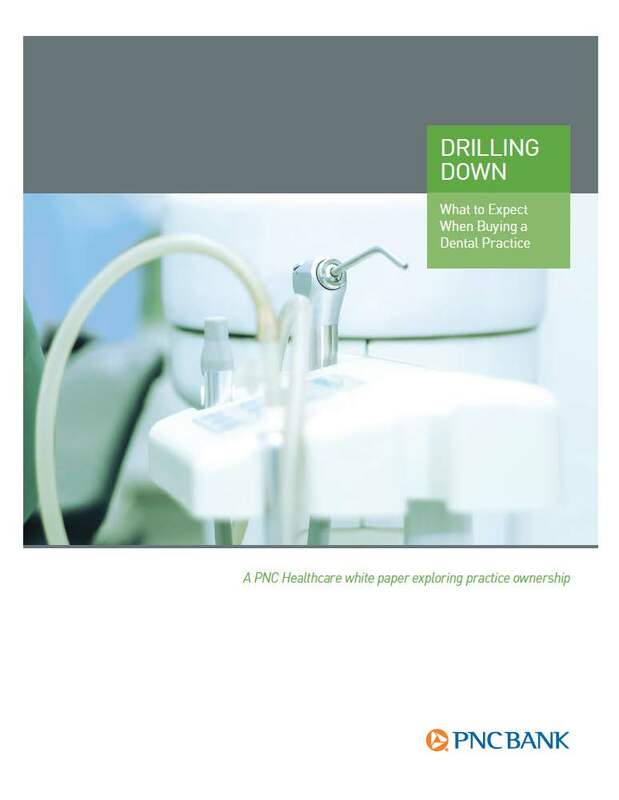 In the Dental Economics report, new patients totaled 27.9 per month for responding practices. Overhead. How much will it cost to keep the doors open? Responding practices reported average overhead of 61.2 percent of revenue. The next step after determining what a perfect practice would look like is to actually find one that matches your parameters. Fortunately, there are a variety of ways to find a practice for sale. Dental practice transition consultants. Establishing relationships with dental practice consultants can help ensure that you receive details of practices coming to market. These professionals will typically provide a prospectus outlining the main financial aspects of the practice as well as details on turnover, equipment and location. Friends and colleagues. Many practices are sold by word of mouth, so keeping your ear to the ground with colleagues and friends can certainly pay off. Local dental supply/equipment representatives. Reps typically visit a large number of practices on a regular basis, so they can be good resources for learning what practices might be available. Dental Associations. The “classifieds” section of state dental association websites and newsletters are another resource for identifying opportunities. This truism of real estate also holds true for dental practices. But it’s not just about having a corner office with great parking on a busy thoroughfare. Other factors that help make a prime location include the demographics of the surrounding area – who your potential patients are and the types of services they need. Just as important is the presence or lack of competitors. You can learn a lot by analyzing existing practices in the area. The American Dental Association provides customized demographic reports to help dentists evaluate different market areas. It can be ordered through the ADA survey center at 312.440.2568 or www.ada.org. A lender finances the purchase of an existing practice. The seller carries all or part of the financing. The purchaser utilizes a combination of lease and loans to fund the purchase. Knowing how much to borrow is especially important. In addition to borrowing for the purchase price, some dentists borrow additional funds to support cash flow needs as collections ramp up. (It may take time to get revenue flowing, but expenses start immediately.) Here, the new owner may borrow enough to cover any capital expenses needed in the first year and request a line of credit to cover any cash flow shortfalls. As you compare lenders, you’ll want to know the terms, interest rates, life of loan, early termination penalties and flexible payment options of each lender. Evaluate their fees and associated expenses. Examine any differences in collateral requirements and who the lender will require to be a loan guarantor. When it comes time to requesting financing, be prepared to look at it from a banker’s perspective. Here, preparing a solid business plan can help answer all the questions necessary for the lender to make a decision. S corporation or LLC, for example). Consulting with a dental CPA can help determine which of these entities makes the most sense. Next, introduce the members of your management team, which should include your attorney and your dental CPA, along with any key staff members who are going to help you run the practice. Explain where you are in the process. For example, has a letter of intent been submitted? Amount needed and allocation of the loan proceeds. Lenders typically want to see a narrative explaining the specific use for the requested funds (and how much you are requesting). Note that a qualified accounting professional can provide guidance on tax strategies related to the allocation of the sale price to the various assets involved in the transaction. Collateral and their values. If some form of collateral, such as a lien on equipment or even your home, will be offered to the bank, what is its value? Note that lenders may require a personal guarantee of the loan. This means that if a practice defaults on its obligations to the lender, the dentist is personally responsible for the unpaid balance of the loan. Repayment plan. Include an amortization schedule outlining repayment. Do you intend to repay the loan over five, seven, 10 years or beyond? Business history. How long has the practice been at the current location and how has it performed over the last three to four years? Is there any reason to believe it won’t perform as it has in the past? Who is the current owner and what is the current legal structure (proprietorship, partnership, corporation, LLC, etc.)? Fee schedule. Have you created a fee schedule by ADA procedures, or are you going to adopt Dr. Jones’ fee schedule? Many dental CPAs have fee schedules by ZIP code that will allow you to be competitive in the current local marketplace. Are you going to participate in dental insurance? If so, is it a capitation arrangement, or are you going to get into a PPO or other type of arrangement? Are you going to transfer the practice’s existing insurance relationships to yourself? Patient lists. Provide demographic information about your patients. Is it an aging population, or is it pretty well diverse? Market area. What is the market area where you intend to practice? Who will be your competition within 1 mile, 5 miles and 10 miles of the practice? Advertising and marketing programs. What are you going to do that is unique to set yourself apart? Who are your major suppliers and how are they going to allow you to pay – 10 days, 30 days or 45 days? Do they offer early-pay discounts? It is best to be prepared for one of the biggest decisions you will make in your professional career. While the list seems daunting, the good news is that the transition consultants at PMA can help you through these steps and more. Between our experience and our network of professionals, we can help take the anxiety out of buying a dental practice.